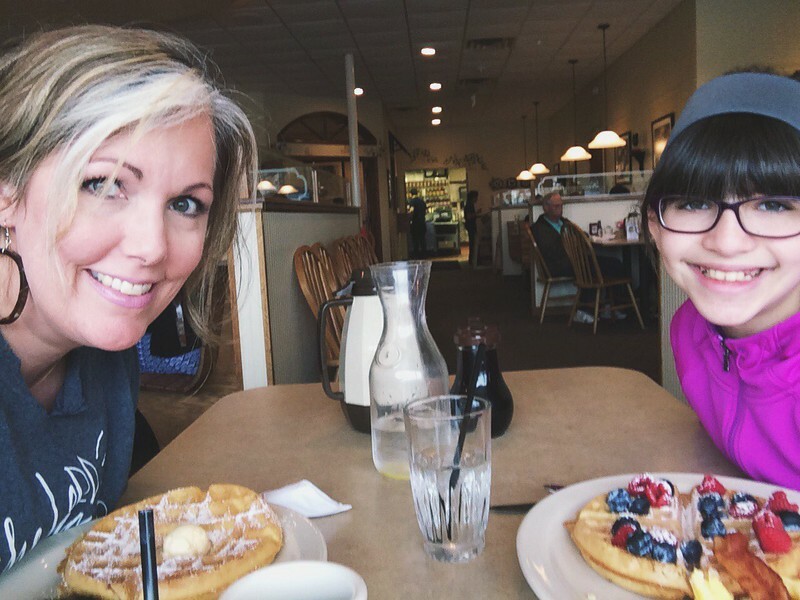 Since this past Friday was Scott's day off we did our usual thing of screaming over to breakfast at our favorite joint right after taking Annelise to school. We are nothing if not boring predictable. I guess I haven't told y'all I started using Young Living essential oils, have I? Maybe I'm embracing my inner hippie or something, but they really are pretty awesome. I ordered my Premium Starter Kit, wholesale, in early December and haven't looked back. I'll have to do a more in depth oily post soon. Ish. 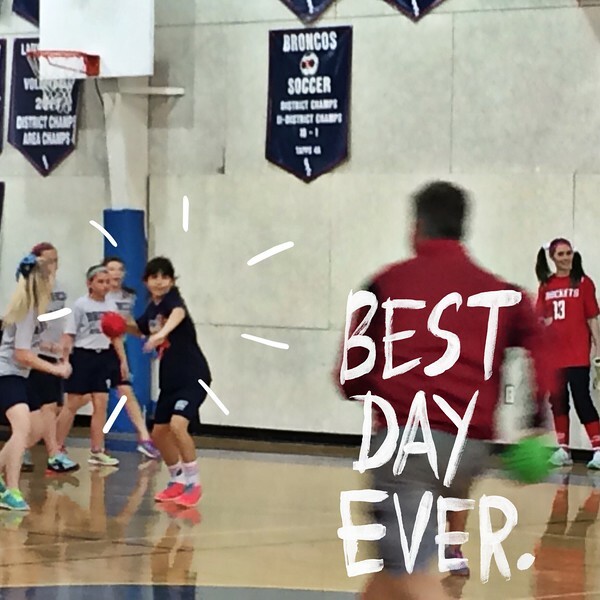 Instead of a traditional Valentine party 5th grade had a Parent vs. Student dodgeball tournament followed by refreshments outside on the playground. Otherwise known as THE BEST DAY EVER. At least in Annelise's opinion. They (actually more of a we thing) played different rounds from each class vs. their parents, then dads vs. sons, moms vs. daughters, followed by one or two other variations to serve as tie breakers. They didn't exchange valentines as a class, which crushed me, at least at first. Like I wish I had known that 4th grade was our last year, it was like the valentine rug had been ripped out from under me. I don't think they do it in 6th grade either, so...I guess there will no longer be any photo valentines with Annelise clutching a tootsie pop in her fist in our future. Sniff. Sniff. Now the big thing is to send--and of course hopefully receive--treats to each other at school, either anonymously or signed. Part of me thinks this is cool but another part of me worries about comparison or hurt feelings for those that don't get any. I remember waiting with baited breath and crossed fingers for a single carnation in seventh and eighth grade and having jealousy in my heart for those girls that got oodles. 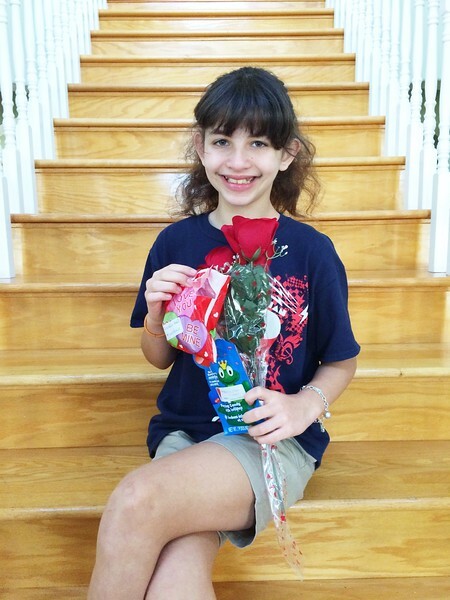 Annelise used two of her very own dollars to send a box of conversation hearts anonymously to two different boys that she "likes". She got two special treats from a friend that's a boy and one from a secret admirer that she thinks is one of the boys she sent a treat to. 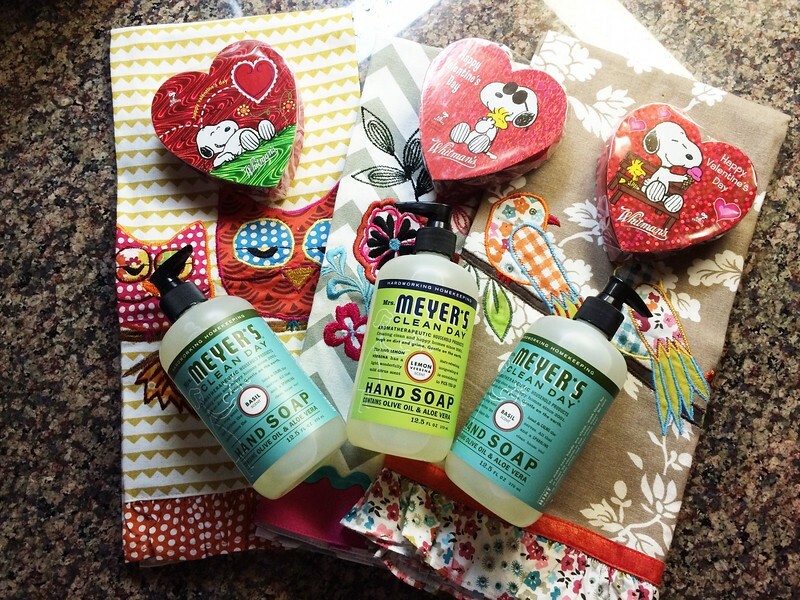 She gave treats to each of her teachers, a cute dishtowel, Mrs. Meyer's soap (of course) and chocolate (of course). Simple, but practical and tasty too. Our actual Valentine's Day was super low key, just hanging out together. We briefly discussed venturing out to Cheesecake Factory mid-day with the hopes it would be an off time, even on VD, but decided on take out instead. Later that evening we watched To Kill A Mockingbird together (I've been re-reading the book, it never gets old). Annelise had moaned and groaned all day about not wanting to watch it and she couldn't care less about this timeless Southern classic and yada, yada, yada. Now we keep randomly quoting, "Hey, Boo," to each other and she can't wait to read the book (maybe in another year or two). Today was a holiday from school for President's Day so we did the only logical thing. Sleep in and go for breakfast out. We weren't sad, we just love waffles. Afterwards, while still on a sugar high, we wandered down to Beauty Brands on a whim and got Annelise's hair done. The lady cut about three and a half inches off and added some long layers. She also sprinkled fairy dust and worked some hair styling magic. 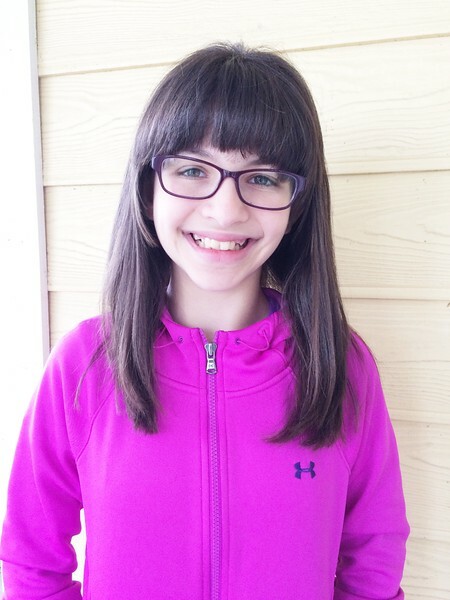 Thirty minutes or so later this much older tween emerged with straight, smooth, styled hair. Needless to say Annelise adores her new look and we do too. I just hope she (and I really mean we) can recreate it. Fingers and flat iron crossed. Breakfast food is the best! My favorite is Cracker Barrel but unfortunately my husband isn't on board the CB train so I don't get it very often! I love the teacher gifts! My boys haven't exchanged valentines in a few years..the first year they didn't do them was a bummer. I would love to hear about how your using your YL oils. I have been using YL oils since the Fall and have been enjoying them. Take Care!